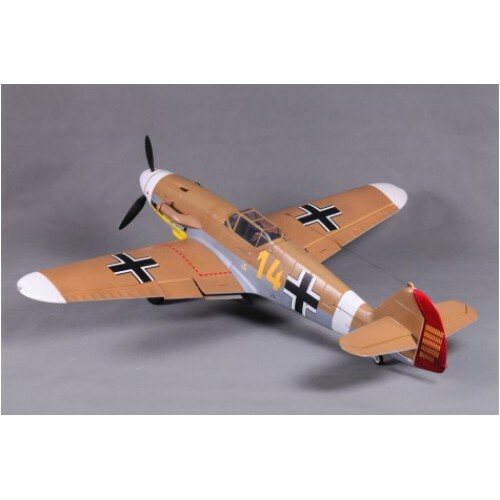 The Messerschmitt BF109, often called ME 109, was a German World War II fighter aircraft designed by Willy Messerschmitt and Robert Lusser during the early to mid 1930s. 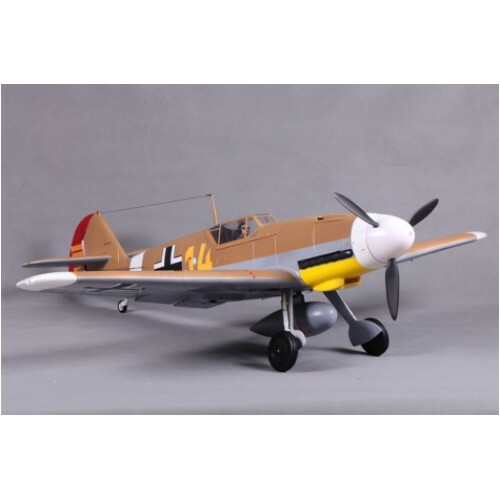 Considered to be one of the first true modern fighters with it's innovative features such as all metal mono-coupe construction, a closed canopy, retractable landing gear, and powered by a liquid-cooled, inverted-V12 aero engine. 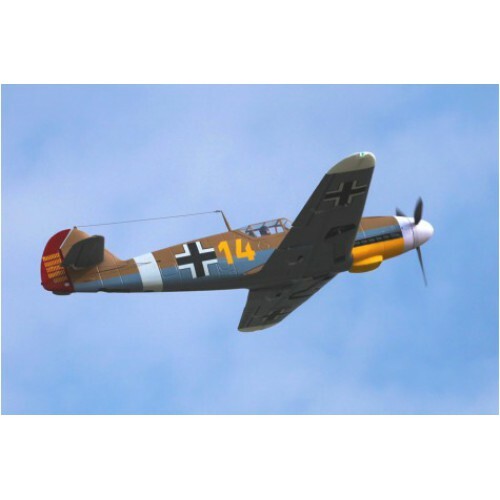 it is still considered by many to be one of the most successful warbird's in the World War II. 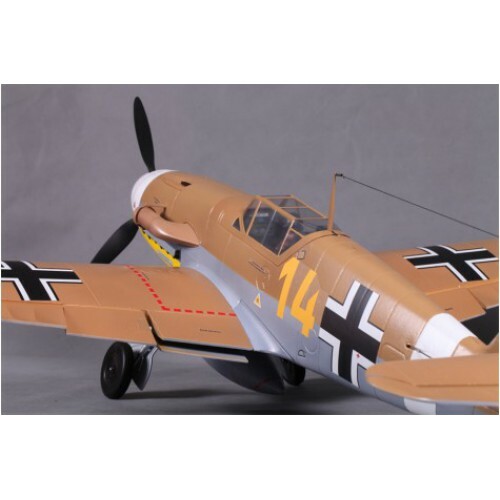 FMS has replicated the classic WWII BF-109 in stunning scale detail with this new EPO super strong and lightweight foam-molded aircraft. 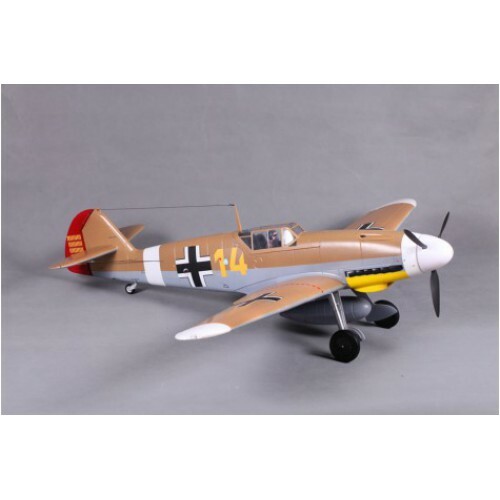 By focusing on a much larger size than many similar models on the market, FMS have been able to recreate with fine detail many of the BF-109’s menacing and classic features. 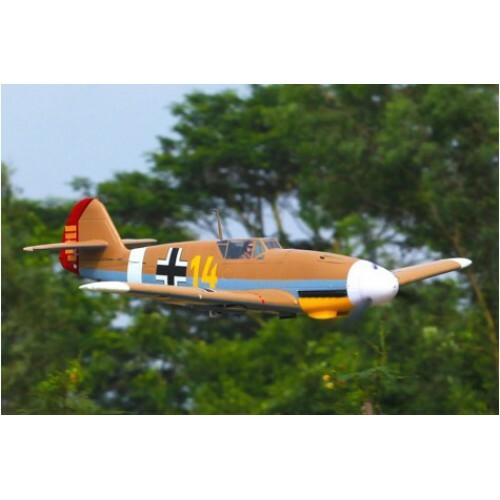 The larger size means this warbird is a dream to fly with very stable characteristics often associated with high wing models, allowing you to create your own adrenalin-fuelled aerobatics and dog fights.